Precise Time Watch Repairs provides more information on our watch repairs in Birmingham, Michigan. Our qualified staff has over Thirty years experience working in the field of watch repair. There is no problem that we can not solve, for your watch, when it comes to repair. If the part is available, we can fix it. You are in good hands with Precise Time Watch Repair. 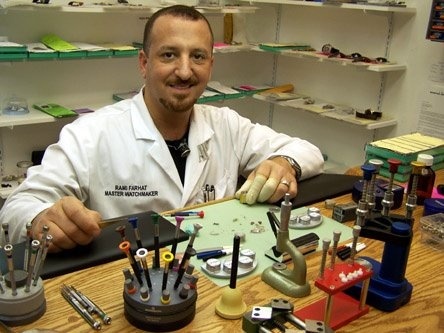 Our watch repair service center is owned and run by Rami J. Farhat, a third generation master watchmaker by trade. His hands are capable of just about anything within a watch. Try us out today and see what all the fuss is about! If you have any questions or comments, please contact us. We look forward to hearing from you and servicing your timepiece.